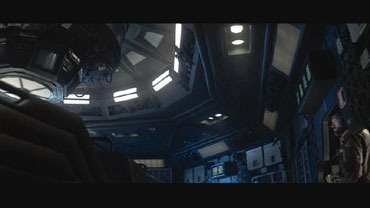 Comparison between the Director's Cut and the Theatrical Version. This cut report only discusses the parts in which the Theatrical Cut is longer than the Director's Cut. There is a seperate report for the other way around. 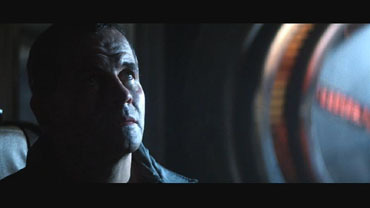 The uncensored Director's Cut is approximitely 47 seconds shorter than the Theatrical Version, although the altered scenes in the Director's Cut add up to 321 seconds. The Theatrical Version is longer than the Director's Cut. 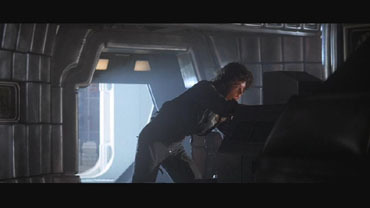 Back in the year 1979 Alien was something unique and had the reputation of being a Space-Opera. 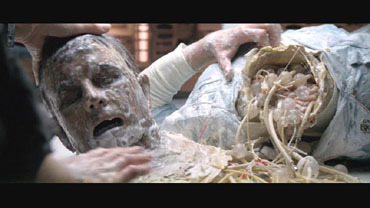 This was mainly justified by the neverending tracking shots and cameratakes. 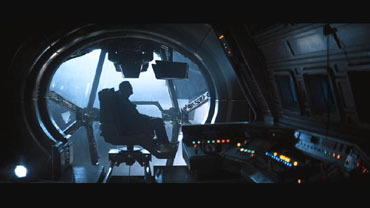 Ridley Scott had accelerated the movie a little for the DC, to make it more appealing to audiences of the new millenium. 7:51 Min. - 7:58 Min. The scene in which Dallas is drinking coffee in both versions is the end of a tracking shot through the room in the Theatrical Cut. 23:08 Min. - 23:26 Min. 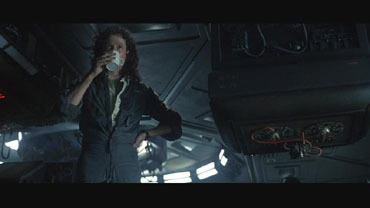 In the Theatrical Version, Ripley is drinking some coffee earlier and is talking to Ash, whether he had checked the transmission already. 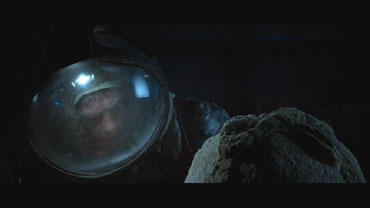 Ash says that "Mother" couldn't identify the signal. 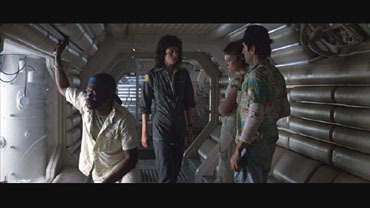 Ripley asks Ash if she could give it a try. Ash doesn't mind. The DC continues the moment Ripley puts away the cup. 26:26 Min. - 26:34 Min. 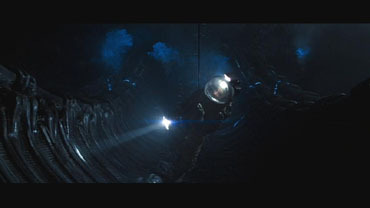 The three members of the exploration team ascend longer to the alien ship. 26:44 Min. - 26:48 Min. A take of Ash, who is vainly trying to call Dallas per radio. 26:59 Min. - 27:01 Min. 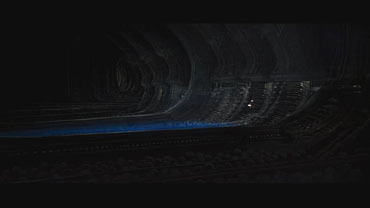 The tracking shot on the wall of the alien ship is two seconds longer in the TC. 28:58 Min. - 29:00 Min. A teammember is walking a bit longer on the platform. 29:12 Min. - 29:17 Min. 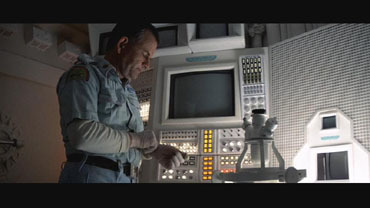 Dallas is examining the alien fossil more precisely. 29:33 Min. - 29:36 Min. The closeup of the fossil examination is longer in the TC. 30:09 Min. - 30:12 Min. An extended take of Dallas. 31:46 Min. - 31:55 Min. 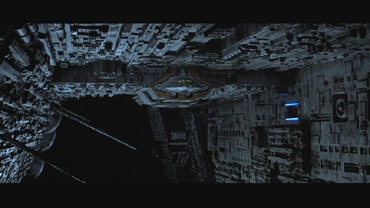 The take of the big hall and the one that shows Kane climbing down are longer in the TC. 33:47 Min. - 33:49 Min. 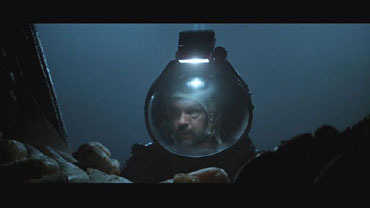 In the TC you can see the rest of a take from the Director's Cut, in which Kane is surveying the egg. This rest cannot be seen in the DC, but instead the other part of that take. 36:58 Min. - 37:03 Min. 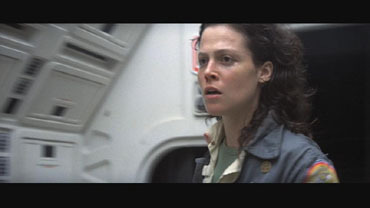 Ripley is coming to the other crewmembers absolutely normally. In the DC she gets a beating from Lambert. 45:22 Min. - 45:45 Min. Ash is taking off the examination gloves longer than in the DC. 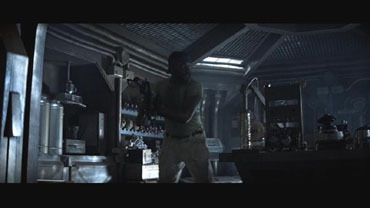 Then, only in the Theatrical Version, you can see Ash drinking something and leaving the laboratory. 50:16 Min. - 50:30 Min. 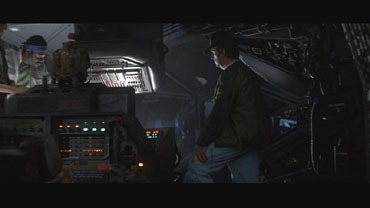 Ripley asks Dallas whether he has been flying with Ash before. He answers that Ash joined the team just before the departure. 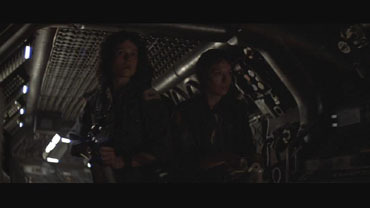 Ripley says she doesn't trust Ash, whereas Dallas answers he doesn't trust anybody. 57:06 Min. - 57:20 Min. 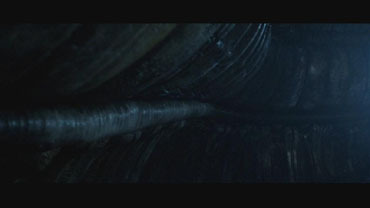 The cameratake, after the alien has hatched, shows star-shapedly arranged corridors in both Versions. In the DC there is one take circling, so you can see all corridors, in the Theatrical Version there is another circling, this time the other way around. 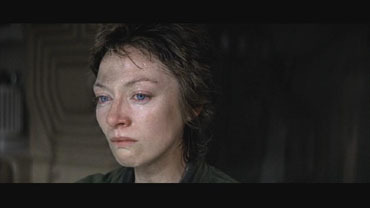 Afterwards, there is a hard cut in the Theatrical Version to Kane's funeral and a cameratake is being started after a short break. In the DC there is a smooth cut, so the take through the corridors and the take into the cockpit merge. 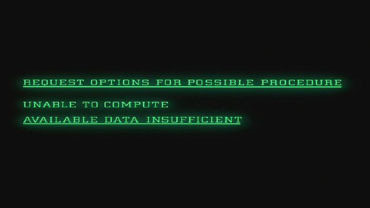 As mentioned before, though, the last half of the first take and the beginning of the second are missing in the DC. 59:46 Min. - 60:56 Min. 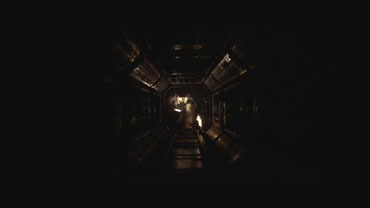 The beginning of the take in which Ripley, Brett and Parker go through a corridor is missing in the DC. 61:14 Min. - 61:18 Min. 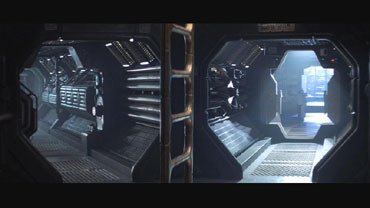 Before the door opens, you can see a room longer in the Theatrical Cut. 61:39 Min. - 61:56 Min. 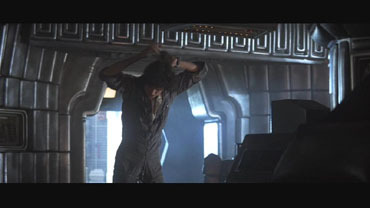 Ripley enters the room longer. Also, only in the TC you can see Kane and Brett joining. 66:26 Min. - 66:28 Min. The cameratake is a little longer in the TC. 66:59 Min. - 67:06 Min. In the chainroom: The closeup of Brett's face, which was divided in the DC is here in one piece and even seven seconds longer. 69:48 Min. - 70:55 Min. 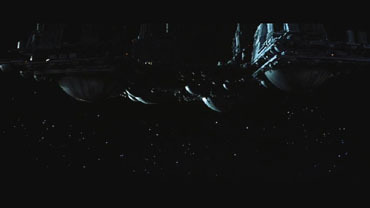 Short Spacetake of the flying Nostromo. 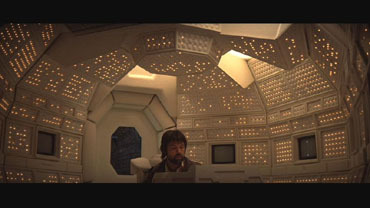 Then you can see Dallas in the communications-room talking to Mother, the on-board computer. She has got no answers to his questions, though. 71:50 Min. - 72:09 Min. Extended take of Dallas crawling in a duct. 72:20 Min. - 72:23 Min. Dallas puts on his headset longer. 78:18 Min. - 78:38 Min. You can see Lambert a bit longer. Then you see Parker sneaking through corridors. 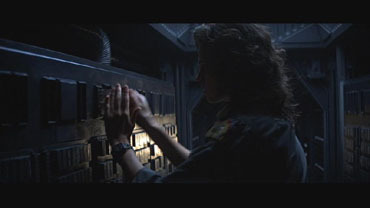 Finally, you see Ripley getting the access-card for Mother out of a box and putting it somewhere. 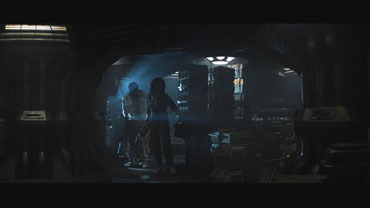 The DC continues when Ripley approaches the door, but shows some alternative material before. 80:25 Min. - 80:33 Min. 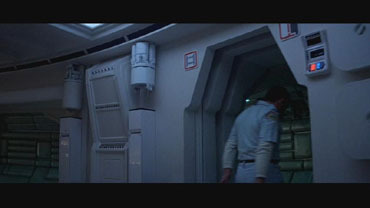 Ripley exits the communications-center longer and walks longer through the hallway. 84:38 Min. - 84:40 Min. Ripley is trying longer to put Ashs head upright. 87:43 Min. - 87:49 Min. 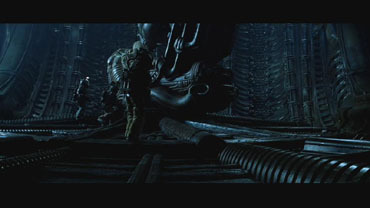 Ripley, Lambert and Parker go longer through the corridor. 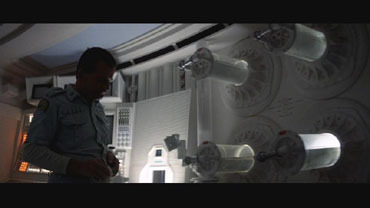 In the DC, a part of the tracking shot was cut in the middle in favor of pace. 88:25 Min. - 88:46 Min. 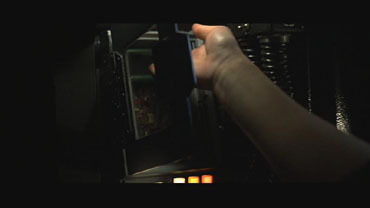 In the TC, Ripley is typing longer on the shuttleconsole. After that, an exterior view of the shuttle from the front takes place. 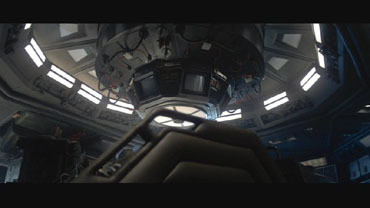 You can see the lights go on in the cockpit. The next take from below, but also being seen in the DC. 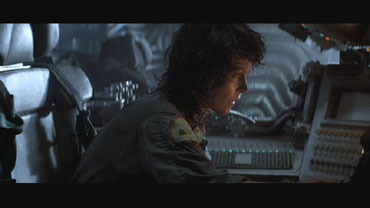 Then you see Ripley typing on the console again. Next is a cameratake, doing her hair and starting to take off her Overall. At about the middle, when she starts opening the zipper, the DC continues. 89:02 Min. - 89:04 Min. Frontshot of the shuttle. 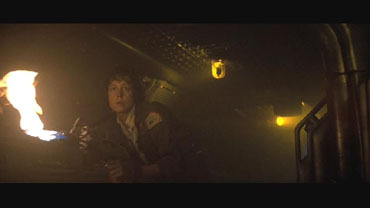 Ripley exits the cockpit a little bit longer. 89:57 Min. - 90:01 Min. 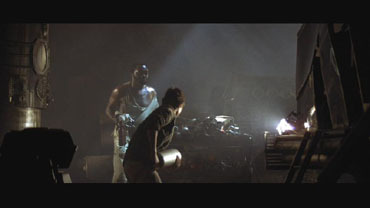 Parker and Lambert get the cylinders onto the cart a bit longer. 96:41 Min. - 96:43 Min. Ripley is climbing out of the duct a bit longer. 99:49 Min. - 100:04 Min. 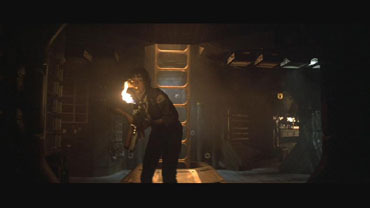 You see Ripley climbing out of a duct again and, with a flamethrower at the ready, going through a hallway. 100:10 Min. - 100:12 Min. Ripley again goes a bit longer through the corridor. So the beginning of the tracking shot is missing in the DC. 100:32 Min. - 100:43 Min. 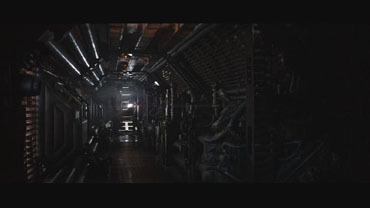 The end of the tracking shot through the corridor is also missing in the DC. 101:08 Min. - 101:09 Min. Ripley picks up the cat carrier from the ground longer. 102:07 Min. - 102:10 Min. 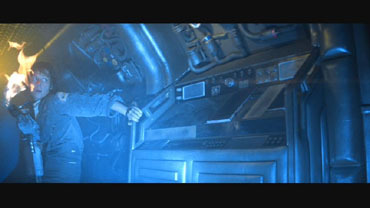 Ripley types longer on the console. 102:21 Min. - 102:22 Min. Ripley applies the seatbelt a bit longer. The Theatrical Cut is in total 47 seconds longer than the Dircetor's Cut! The duration of the altered scenes compared to the DC adds up to 346 seconds.